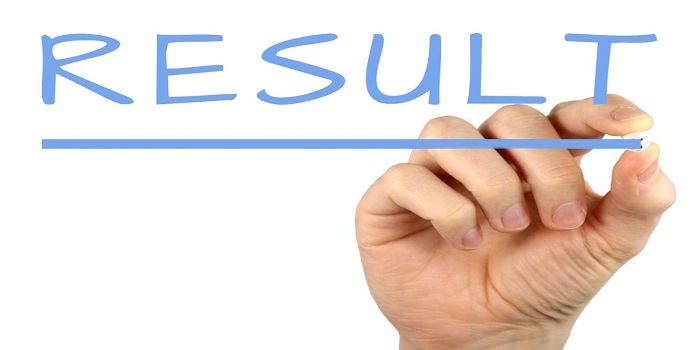 NTSE Result 2019 - Most of the states have released the final result of NTSE 2019 stage 1 for their states while others might release their revised result in the month of April 2019. The result is revised due to an increase in the number of scholarships from 1000 to 2000 beginning this year. Candidates can check their updated NTSE result and merit list here, by clicking on the state-wise pdf links given below. The result is released for the stage 1 exam of NTSE that was conducted on November 3, 4, 18 and 25, 2018. NTSE cutoff 2019 for stage 1 is also released along with the NTSE result 2019. A candidate belonging to General or OBC category must obtain 40% separately in SAT and MAT exams. An SC/ST candidate must obtain 32% separately in MAT and SAT exams. Candidates who qualify NTSE stage 1 exam as per their state cutoff, will be eligible to appear for the stage 2 exam which has been postponed due to Lok Sabha elections and will now be conducted on June 16, 2019, by NCERT. Those who qualify the stage 2 exam will be awarded the NTSE scholarship 2019. To check the NTSE result 2019 for stage 1 as per the state candidates belong to, cutoff scores for stage 1 as well as the final result of NTSE 2019 and cutoff, read further. Latest NTSE Stage 2 exam 2019 date changed. Given below are the steps to check the result of NTSE 2019 for stage 1. Candidates must follow them to download it. Click on the link provided below in the table to check the state-wise NTSE result 2019 - Stage 1. Now click on the link of merit list. The result will be downloaded in the form of pdf which will mention the details of the students along with the scores obtained in the exam. Candidates must check for their name and roll number to see if they have qualified. What if you cannot access your NTSE result 2019? A large number of candidates sit for NTSE every year from all States and UTs. It is possible that after the release of NTSE 2019 result, some candidates are unable to access their result at that very moment. Do not panic. Due to heavy traffic, the server might slow down. Try again to access the result of NTSE 2019 after a few minutes. The total marks of NTSE 2019 have been increased to 200 from 150. The Language test has been removed and there has been an additional introduction of 27% reservation for OBC category candidates. Given below is the cutoff released by States for the year 2019. Other states and UTs cutoff is also available which can be accessed by following the link given above. Students with their names in the merit list will qualify for the stage 2 of NTSE 2019 scheduled to be held on June 16, 2019. Students can check the syllabus, preparation tips and best books for stage 2 exam from the links given below. The result of NTSE 2019 stage 2 will be declared in September 2019. NCERT will also announce the cutoff for the final NTSE 2019 result. NCERT will release the cutoff marks category wise after the result of NTSE 2019 is announced. The maximum and minimum marks that were awarded for the scholarships will be announced along with the list of students who qualified for the same. In the meantime, candidates can use the previous year cutoff in MAT & SAT to get an idea about the marks required to qualify for the scholarship. Based on the NTSE reservation criteria 2019, 2000 shortlisted candidates of different categories will be awarded the same NTSE scholarship given below after the announcement of final NTSE 2019 result. Scholarship of Rs. 1250/ per Months for class XI and XII. Scholarship of Rs. 2000/ per month for Under Graduates and Post Graduates. Amount of scholarship for Ph.D. in accordance with the UGC norms. Q. How many NTSE scholarships are awarded? Ans. Beginning this year, NCERT will award 2000 candidates with the NTSE 2019 scholarships. The number of eligible candidates till last year was 1000 only. Q. How to check NTSE 2019 Result stage 1? Ans. NTSE stage 1 result is declared state wise by SCERT or DGE of respective state and UTs in the form of pdf. A student must download the same from the links given above and check for their name along with roll number to know their SAT, MAT and total score. The final selection for stage 2 depends on the cutoff score released by different states. Some states like SCERT Uttarakhand also release the result directly in the form of merit list of selected candidates for stage 2 exam. Q. How to check stage 2 NTSE Result 2019? Ans. Candidates can check the NTSE stage 2 result in online mode by entering their roll number and date of birth in the result login window which would be available at NCERT official website - ncert.nic.in. Q. Is there any reservation criteria for the scholarship? Ans. Yes. There is a provision of reservation for SC and ST candidates based on the national norms of 15% and 7.5% respectively. Only candidates obtaining the minimum qualifying marks under these categories will be eligible for the scholarship. Q. Does NTSE have a provision of reservation for physically challenged students? Ans. Yes, there is a provision for 3% reservation for physically challenged students. Q. Can my ward study in India write the NTSE Stage 2 exam directly? Ans. No. To appear for the NTSE Stage 2 exam, the candidate must be recommended by the State/UT where he/she is studying. Q. Whom should I approach in case of any other query related to Stage 1 examination? Ans. For information related to details of the state level examination, you may approach the liaison officer of your state/UT. NCERT will not entertain Stage 1 applications. Q. When will Stage 1 NTSE result be announced? Ans. The result of Stage 1 examination will be declared between January and March by each of the States/UT. Q. Whom to contact in case of any concerns regarding NTSE stage 1 result? Ans. If a candidate wants to cross-verify their NTSE Stage I exam result then, they need to contact the respective state/UT for it, not send their concerns to NCERT. Q. Does Marks of NTSE stage 1 also included in stage 2? Ans. No, the NTSE stage 1 is only used to shortlist candidates for national level examination ie.e NTSE. The scores of stage 1 will not be added while calculating the merit list after stage 2 exam.